For #Recommendsday this week I wanted to talk about the Sinclair Mysteries – as the final book in the series is out tomorrow (October 5). Regular readers will be well aware of my love of detective fiction and middle grade novels and Katherine Woodfine’s Sinclair mysteries are a great meeting of the two. In the first book in the series, we meet Sophie and Lily – newly employed to work in Sinclair’s department store which is the biggest thing to happen in Edwardian London since, well, a long time. Sophie’s father has recently died and she’s having to find her own way in the world. Lily works in the shop by day and is trying to break through onto the stage at night. Over the course of the books they gather a gang together and solve crimes, with department store owner Mr Sinclair (think Mr Selfridge) always hovering somewhere in the background. Starting with the theft of the titular Clockwork Sparrow and moving on to things more dastardly and complicatated. There is a big bad here, although I can’t say too much about that without giving far to much away. Suffice it to say that although you can read this on their own, they work best as a series, building to a wonderful climax that pulls all the threads from the previous books together and ties them into a nice neat bow. If you grew up on a diet of Enid Blyton and Nancy Drew, then these books may well be for you. Or for your children if you have them. I’ve lent (given?) my copy of the first one to Eldest Niece who has been tearing her way through the Famous Five and Secret Seven. I came to these after reading the first Wells and Wong book – and needing more middle grade mystery in my life and they filled that gap admirably. I’m sad that the series over – but really looking forward to seeing whatever Katherine Woodfine does next. You should be able to find these in any bookstore that has a good children’s department, as well as in supermarkets – I got my copy of the first book from Tesco (although I got books 2 and 4 from NetGalley) and I can’t remember where I bought book three. Anyway, read them in order wherever you buy them from. I’ve got renovations and building work on the mind at the moment – I wonder why – and so this week’s #Recommendsday post is about books featuring renovations or building projects. Let’s start with some murder mysteries. First, a classic: Sleeping Murder by Agatha Christie. New Zealander Gwenda and her husband have just moved into her new house, but as she starts to modernise it, all she does is uncover the house’s history. As far as she knows, she’s never been to England before, so why does she have a creeping dread every time she uses the stairs – and why are all the things that she wants to do to the house, features that the house used to have? 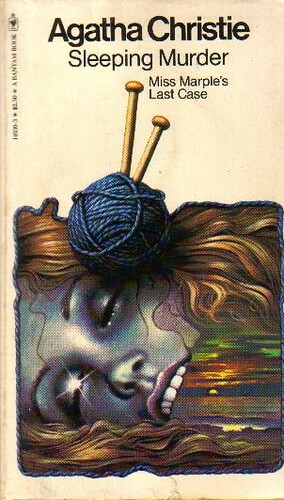 It’s creepier than many of the Miss Marple books – and although it’s very good, it’s not my favourite of the Miss Marple stories, but I think that might be partly because the copy that we had at home when I was little had a cover with a pair of knitting needles stuck in someone’s head. That would be this cover, and it still freaks me out. The fourth book in the Aurora Teagarden series, The Julius House, has a big renovation project in it when Roe’s husband to be buys her a notorious house where a family disappeared from some years previously. Roe is an amateur sleuth, fascinated by real life murders she can’t resist trying to figure out what happened to them. Houses feature a a few of the books in this series: in book two, A Bone to Pick, Roe inherits a house from a friend, and in book 3, Three Bedrooms, One Corpse, she has a go at selling real estate and keeps stumbling over corpses. Not quite a renovation, but Karen Rose Smith’s Caprice de Luce series features a house stager who solves crime. I’ve only read one of them – but as house stagers are something we really don’t have in the UK, I found her job fascinating, even though I had a couple of quibbles with the mystery. I have more in the series on my Amazon watch list though, so I liked it enough to want more. I’ve mentioned Jill Shalvis a few times recently, but the first book in her Lucky Harbor series – Simply Irresistible – features a heroine who is trying to renovate and relauch her late mother’s guest house. It’s a romance – and her contractor is her love interest and it’s fun and romantic and everything that you would expect from a Jill Shalvis novel. Among Katie Fforde’s novels, there are a couple that have renovation projects – including Practically Perfect, where the heroine is an interior designer who is doing up a tiny cottage to showcase her skills and slightly tangentially one of my all time favourites of hers, Stately Pursuits – where house sitting turns into an attempt to save the house from redevelopment by getting it into a state where it can pay its own way as a historic home (and venue) open to the public. I read Nick Spalding’s Bricking It a couple of years ago and laughed consistently the whole way through. It features two siblings trying to renovate a house they’ve inherited from their grandmother, with the added complication of taking part in a reality TV show. It’s got a cast of hilarious secondary characters and I loved the live TV scene – even though my inner broadcasting nerd (hello day job!) wasn’t sure if it would actually have been able to go down the way it did. Writing this has made me wonder why I haven’t read more of Nick Spalding’s stuff since. 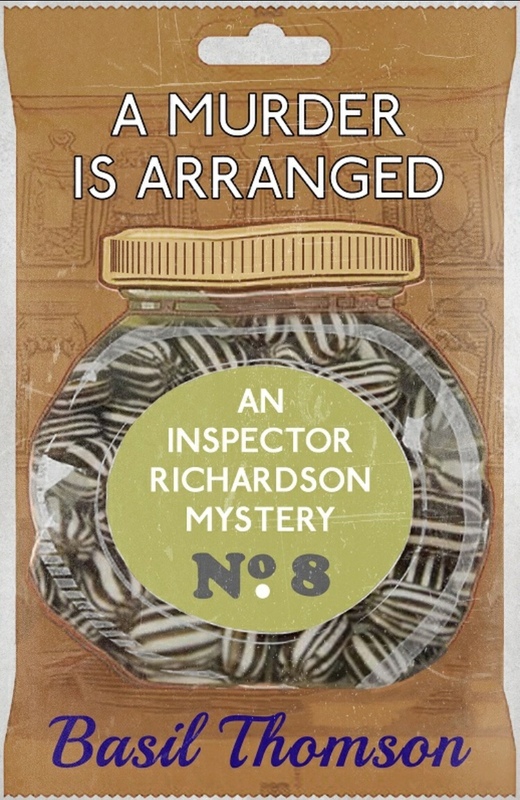 And down here and not with the cozies because I’ve mentioned this series recently already, but the sixth Meg Langslow mystery, Owls Well That Ends Well, sees Meg start the renovations to the big old Victorian house that is such a centre piece for the rest of the series. If after all that you want more buildings in books, I wrote a #Recommendsday about books with amazing houses back at the end of May. Send me your suggestions for more renovation books in the comments or on Twitter – I’m @WildeV. Hello! It’s already been a busy week here on the blog – don’t forget to check out my interview with Derek Farrell and my review of his latest book if you haven’t already. Anyway, today I wanted to use my #Recommendsday post not to talk about a book, but to extoll the virtues of having a book clear out every now and then. As you may have seen in yesterday’s Week in Books, we’re about to have some work done in the house and this means we’re packing up half the house basically (our big downstairs living area and the spare bedroom) to put it into storage while the work is done. It’s not major building work, just plastering and associated stuff that all goes better if there’s no furniture in the way. And where are the main places in our house where my books live? The living room and the spare bedroom of course. So I’ve taken this opportunity to have what my mum calls a “rationalisation” of the bookshelves and I wanted to share my methodology (if it can be called that) with all of you. 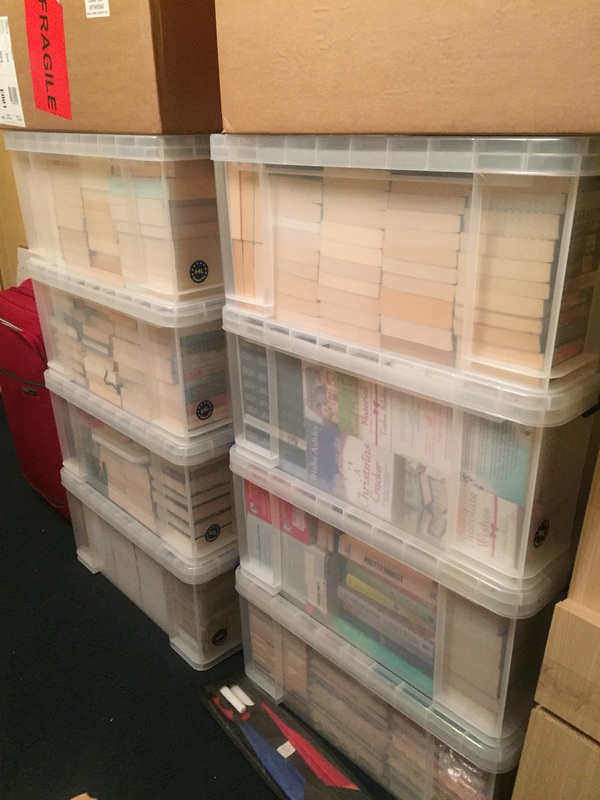 Some things I know I’m keeping, no question – basically the Children’s book collection, the Georgette Heyers and the Peter Wimseys – but for most of the rest of the books, these are the questions I ask myself during a clear out. So the first and most important questions has to be: will I ever read it again? Now if a book has made it to one of my keeper shelves, it has done so because I thought when I finished it that I would want to read it again. But have I? And do I still think that? If the answer is no, then the book can probably go. If it’s been 3 years and I haven’t read it again do I really need to keep it? My downstairs bookshelf tend to be where the frequent rereads are, so if I haven’t read something on that for a while, it’s time to relegate it to upstairs and see if I miss it. If I don’t miss it, it can probably go next time. Next up: Am I sentimentally attached to it? This is the reason why I still have copies of most of my A Level and GCSE texts – they’re filled with my notes and scribbles and they remind me of English classes (and history classes) and how much I enjoyed them. It’s why I found it so hard to get rid of a book about the Congress of Vienna that I’ve never managed to get past page 50 (of 600) in – because I bought it in a fit of misty nostalgia about my writing my A Level coursework about the Congress just after I finished University. It’s been unread for a decade – and I’ve only just now put it in the bag for the charity shop and deleted it from my to-read list on Goodreads. The next question is am I keeping it for completeness or because it’s part of a set? Do I really need to? I’ve got rid of a few books this time that are by authors that I used to buy everything from but now… less so. I’ve kept my favourites of theirs – the ones that I do re-read – but I’ve jettisoned the rest. This is all made easier for me if the author has changed publisher and the books no longer match – because we know how much I like matching sets of books! And finally, if I changed my mind, how hard would it be to replace this? Most of the time the answer is that it would be fairly easy. Occasionally, I’ve already got an ebook copy so that solves the problem. But if it’s out of print or not available in ebook (or very expensive in ebook) then I might hold on to stuff for a little bit longer. But there comes a point where you have to let go. And I’ve let quite a lot go. I’ve even weeded the to-read pile and got rid of stuff that I know in my heart I’m never going to get around to reading because there’ll always be something “more important”. I’ve got rid of books by authors that I’ve gone off and don’t buy any more, stuff that I kept to make my bookshelves look cool and least favourite books/series by some authors that I do still like. My mum’s WI will have a a very well stocked book stall this month, and I’ve still got a bag or two for the charity shop. Firstly, you might want to consider revisiting an old favourite. Something that you can enjoy all over again and that can conjure memories of when you read it the first time. The best example of that for me is Regency Buck which is one of my favourite Georgette Heyers, brilliantly romantic (another smart woman this time reforming a rake) and which I finished reading on the bus after my last A Level exam. Or just a book that you’ve read over and over -my top rereads are A Winter’s Tale by Trisha Ashley, the much mentioned Gone with the Windsors or any of the four Peter Wimsey books which feature Harriet Vane. Miss Buncle’s Book: Miss Buncle is an impoverished spinster to decides that the best way to earn some more money to improve her situation is to write a book. Her loyal maid thinks she’s mad – but it works. The book that Miss Buncle writes is published under a pseudonym and is a roaring success. The only trouble is that the book is based on the people in her village – and they recognise themselves. I nearly cried laughing reading this and then lent it to everyone I could think of. Perfect for my current mood. The Reluctant Landlady: When struggling actress Evie inherits a house from a family friend, it seems like a dream and she and her best friend Bing move in. But the house is comes with a motley crew of tennants who she’s not allowed to evict and soon Evie is trying to sort their lives out for them, whether they want her to or not. This was the first Bernadette Strachan book that I read and I think it’s still my favourite. Evie is fabulous and Bing is just one of the best and funniest sidekick characters I’ve come across in this sort of book. Strachan now writes as Juliet Ashton and Claire Sandy – her A Very Big House in the Country would make a good choice at the moment too. Welcome to the Real World: Fern is having a good week: she’s landed a job as PA to a world famous singer and she’s got a chance to try and realise her own singing dream with a slot on the newest TV talent show. But when it turns out her new boss, Evan, is also going to be a judge on the talent show, things start to get complicated, because Fern really wants to keep her singing under wraps from him. I see from Goodreads that reviews on this are somewhat… divided, but this is my favourite Carole Matthews book. It focuses mostly on Fern and what is going on in her life, but I liked that – and there’s plenty of drama as well. I hope one of these tickles your fancy and improves your mood. I’m off to re-read some Peter and Harriet.